Ep. 21 The Enlightenment Show: Robert Price interview "Inerrant the Wind" from FreeThought Fort Wayne on Vimeo. Theists say it's up to the unbeliever to "disprove" God. But nonbelievers don't believe in God to begin with. This is what is called an error in logic, since believers are making the mistaken assumption they are (undoubtedly) right and so you must start from their understanding (because yours is invalid in their eyes). In other words, they are refusing to consider the atheist's point of view, and this causes the misunderstanding. One problem which crops up is that because of the sensitive nature of the religious debate, believers often view their beliefs and cultural values as coming under attack whenever a skeptic offers an argument which threatens to disconfirm their cherished religious values or faith based traditions—making believers statistically less likely to consider the contra-arguments being given. (see: “The Malleability of the Human Mind” by Jason Long, chapt. 3, The Christian Delusion ed. John W. Loftus) This is also why Christians often reverse the burden of proof, because they feel threatened by the mere idea that their beliefs are wrong—that they automatically will ask you to confirm such an accusation. This is why we polemicists must use friendly analogies and amusing hyperbole to make analogous comparisons between religious concepts and　hypothetical equivalents and thereby show the falsity of the religious beliefs through the equivalencies. All this is to be attempted delicately, without attacking believers’ cultural and religious identities directly for fear of offending them to the point where they stubbornly desist to listen to reason. Admittedly, it’s difficult for many skeptics to tread softly when they are trying to work around absurd, preposterous, or incredible claims which have been inflated to some inviolable status, feelings are bound to get trampled on simply due to the unavoidable hypersensitivity which surrounds notions of the sacred. It’s even more difficult still to replace any one people’s values overnight once they have been displaced. Indeed, this fear of losing one’s beliefs with no hope to turn to is another reason I have in writing this book, and which the third part of the book is dedicated to, showing that we can have values apart from religion which make our lives meaningful and worthwhile and that hope is not lost. But first we do need to settle one trivial matter—the question of whose task it is to prove the existence of God? First, the question ought to be asked like this: Whose God is it anyway? The nonbeliever will answer, "Not mine!" Precisely why the burden of proof falls on the believer/theist. Atheists and skeptics do not believe in your God, and as harsh as that sounds, it's not their position to prove (or disprove) things they don't rightly feel exist. Frankly, it would make an unbeliever feel a little bit silly to disprove God, just as it would be silly for me to ask you to prove to me that Santa doesn't exist! After all, I find evidence everywhere for Santa. I hear ringing bells at a tick past Christmas Eve, my stocking is surprisingly filled with things I've wished for, which makes me feel good inside knowing that Santa overlooked my little naughty indulgences that I didn't tell anyone about, and conveniently there is an air of Christmas cheer--which mysteriously has an affect on everyone! It can only be Santa's magical charm spreading through us and keeping our spirits merry, joyous, and bright. My experience says to me, it makes sense to think that Santa might be real, after all, there are Santa believers all over the world! That's too much of a coincidence if you ask me. Every Christmas is in his holy memory, and how would there be a Christmas at all if Santa didn't exist? I mean, seriously, how could we even be moral without the teachings of charity, giving to the poor, helping the children, and the valuable lessons of forgiveness? Without the belief in Santa, we'd all degenerate into a primitive race of incestuous, hedonistic, Jack Frost worshiping (Santa forbid! ), baby filleting cannibal nudists, right? Even with such a fear lingering over my head, and the added fear and incentive of not getting my Christmas presents should I cave into anyone of my sinful ways, along with the threat of getting coal instead if I'm bad, even with all this blackmail making me think carefully of whether I'll behave naughty or nice, my faith in Santa seems to be dwindling. Constantly, in the back of my mind, my rational thought takes over and interrupts the fantastic fun filled fantasy and says, wait a minute, wait just a darn minute, can't we think about this more critically? Has anyone ever seen Santa? And not the mall's lap Santa (he's just a helper, and Apostle of Father Christmas), I'm talking about the genuine Jolly old St. Nick, the Big Claus, Kris Kringle, the white fleece-bearded man in red. Has anyone ever clocked him riding his magical levitating reindeer flying at breakneck velocities upwards near the speed of light? Has anyone ever seen his miraculous feat of chimney spelunking? Do we have any of his numerous writings, can anyone produce a single "naughty or nice" list for us to read? Are there any eye-witness accounts? (And small children and elves do not count, since one is prone to wishful thinking and flights of fancy and the other is biased since they feel they are the chosen disciples of the fanatical Church of the Latter Day Elves of the Ghost of Christmas Past). Do we know anything about him historically? Does he really like to drink Coca-Cola? Is he really from the North Pole? Is their archeological evidence of his presence in to the North? What is credible history and what is simply incredible? Is this complete lack of reliable real world empirical evidence any indicator that my belief in Santa might be lacking something? Should I not reconsider, perhaps think things through more before I spread the "good news" to all the little boys and girls of the world? What if I'm spreading turns out to be an unfounded lie? I will have been guilty of perpetuating a falsehood, a fib, an untruth, a tall tale, a stupendous lie! Yes, my conscience alerts me that my reason must be correct, I must approach my beliefs cautiously and with a critical eye only to seriously contemplate whether or not they are truly sustainable. How will I know if I don't at least try to verify the claims I am asserting? …the burden of proof is always on the part making a positive claim, not on the one making a negative one. Most especially, one is always presumed innocent unless proven guilty (beyond reasonable doubt, another concept that also nicely fits with skepticism). It would be grossly unfair if we went around presuming people to be guilty of crimes with no other “evidence” than the fact that they can’t prove that they didn’t do it. Now I could just take Santa on a matter of faith, but then, would I ever really be satisfied? Probably not. So either I must search for the real historical Santa, all the time being prepared to find out he may all be little more than a legend or an age old myth, or else admit that due to the lack of compelling evidence I can't sustain the belief, least of all, expect you to do it for me. Case 2: I Has a MAGIC Baseball! To think of it another way, let's suppose I claim to have a baseball. For you to find out whether or not what I say is true (if I actually have a baseball), ultimately I must present you with a baseball. Failing to do so would disprove my claim. Now suppose I tell you I have a baseball autographed by the late great Henry Louis “Hank” Aaron! Now that would be an amazing claim! In fact, I’ve upped the ante, it’s not just any old regular baseball (anyone might have one of those), but it’s a special, personal baseball. But the incredible claims do not end here, oh no, for even as you try an wrap you head around that one fantastic claim after another, I up the ante even more and throw in all the chips, because this baseball is also magic! That's right, it grants your every wish!! Now my baseball went from incredible to unbelievable... and now my evidence must be equally as incredible or I will only be left with an unbelievable claim. And that would make me look bad--so I'd better get cracking on providing the compelling evidence, otherwise I'll only be that much more unconvincing. Needless to say, since I made the positive claim that, yes, in this world baseballs exist and I have one which is more special than all the rest, if I fail to produce the said incredible baseball, or fail to provide any convincing evidence for it, then this would cast doubt on my entire claim. Or if I had some small fraction of evidence, such as a photograph (which would be less reliable than the actual baseball since I could have fabricated the picture or signed the ball myself), you have no real way of knowing for sure if I haven’t doctored it. Even though this might be convincing to the uncritical person, the skeptic remains doubtful maintaining that one piece of evidence is not enough to validate the claim that Hank Aaron signed it or that it was a magic baseball. So more clues must be gathered so that the pieces of the puzzle can be assembled properly. So how could we know for sure? We investigate! We call in the professionals. We look at things from every angle and then some. Indeed, we would have to know the source of the autographed baseball and what Hank Aaron’s original signature looked like to be sure—so we’d at least need this evidence before we could authenticate one of my claims about the baseball. So although a picture is good evidence, it’s only partially reliable, and you would need to seek corroboration from other third party sources to determine if what I had presented was in fact a Hank Aaron signed baseball, and not say a softball or a tennis ball, or a forgery or some other bad imitation. Admittedly, however, proving it to be a magic wish fulfilling baseball would be a bit trickier to prove beyond a reason of a doubt. With no real testing of it, we just couldn’t know for sure. But let’s say I whipped out a baseball similar to the one I described to you earlier from my jacket pocket, handed it to you, and allowed you to examine and test it all you wanted. Upon finding out that the writing on the ball was questionable, looking quite like something I would write, and it didn’t grant any of your wishes—not a single one—then you have verifiably disproved my claims. This doesn’t mean I didn’t genuinely have faith in my baseball or believe the claims I was making, maybe I just didn’t know, maybe it wasn’t what I thought it was, maybe I was gullible for having bought it from a huckster, who sold me a forgery, who I believed when he said me it was a magic baseball, and then showed to you only to find it didn’t satisfy your demands for proof. At this time we could conclude that it wasn’t a magic baseball nor was it a real autograph, that it was all a misunderstanding and a hoax. However, after the evidence failed to support my claims, thereupon my failure to produce the greatest baseball in all the world for your consideration, my getting agitated and pushing the burden of proof onto you... stating that you cannot prove that I don’t have a baseball (exactly as I described) does not solve the problem of whether or not the baseball which I speak of (and which has yet to reveal itself) exists to begin with. But knowing that it was a fake, created by a man who never knew Hank Aaron, and that the tall tale he sold me about the magic wish granting ball itself uncannily resembles the fictitious genie in Aladdin’s lamp fable, you would be right in doubting that any such baseball exists or has ever existed at all. It stems to reason that the attempt to prove that there is not any such baseball which I don’t currently have and can’t produce for you would just be a redundancy and a huge waste of time. Is There A God? Whose God? That's why the question of “Whose God is it?” is so pertinent when it comes to deciding where the burden of proof falls. Atheists need not disprove God, for this very reason, because it too is a redundancy and a waste of time from our perspective, after all it’s not our claim, it’s not our desire to prove God, that’s the theist claim—and the religious persons desire. But also, let’s not overlook the fact that, as Russell has keenly pointed out, the more contrived any particular idea is further back in history, the more time it has had to evolve, thus the more convoluted it inevitably becomes. Just as the teapot began small and unassuming, it suddenly became undetectable, and as it went further back in time, and there was a robust literature available to confirm the belief in the belief of the teapot, nobody saw fit reason enough to question its actual existence. Besides, how could an atheist disprove what they don’t rightly believe in? And if the Theist claim is true, then it would be futile to argue a moot point, as there would be no reason to prove that he doesn’t exist, but of course if this were as obvious as theists like to claim then there wouldn’t be atheists, skeptics, or nonbelievers in the first place. Since this is not the case, and there is no surplus of evidence, and God’s existence cannot be confirmed or specified, it is illogical to believe wholeheartedly in that which is unsupported, untested, and unverified and seems by our current estimation—to be entirely improbable—just like my special Hank Aaron signed magic baseball. So I’m afraid that no matter how we look at it, the burden of proof falls squarely in the lap of whomever is making the positive claim. I was raised in the Assemblies of God belief system, a Protestant sect of Fundamentalist Evangelical Christianity which believes that the Bible is God’s inspired word. I was a Bible thumping Christian for nearly thirty full years before my deconversion. I’ve studied the New Testament of the Holy Bible during Bible Sunday school, at youth group services at my Church, in adult Bible study at various evangelical churches. In college I joined Campus Crusade for Christ for a spell, I taught as a youth counselor at Big Sky Bible Camp, and for a time I joined Little Beth Israel where I attended a Messianic Jewish synagogue to learn the Jewish culture and also perchance to study the Bible on a more intense level than I had at any Christian congregation prior. As such, by circumstances out of my control, it seems I am an Atheist who knows the Bible better than your average moderate Christian, precisely because I was a Fundamentalist Christian first. In light of my change of mind, however, I found out how insecure most of my Christian family and friends were when it came to their own faith. They instantly began to attempt to pray for me and talk to me from the bottom of their hearts pleading with me to come back into the fold, informing me how they felt I had taken a wrong turn—gone astray so to speak—taking for granted that I never strayed from the faith at all. To the contrary, I prided myself in being a Christian and I took great satisfaction in trying to learn what Christianity meant in the whole scheme of things. With my passion for the Christian story fueling my imagination, I wanted to get intimate with everything Jesus, but not just the stained glass window version, I wanted to learn about the real person, the real Jesus! So I began to investigate the historical strands of Christology and followed my desire to learn the truth. Not to be taken at my word that I know what I’m talking about and ignoring the fact that my Christian experience was, more or less, the same as anyone else’s is bad enough, but many who know me well have demanded that I give them evidence in return for my dissent, which only adds insult to injury. It’s one thing to feel responsible for calming the storm of emotions I invoked with making public what under normal circumstances shouldn’t have caused any ruckus at all. But for the theocratic nature of religious indoctrination, from which I broke the spell of, dissent is viewed to be treacherous—because what could there possibly be outside the confines of religious belief? Currently, this is an issue many nonbelievers are currently working to address. Richard Carrier wrote his book Sense & Goodness Without God to address many of these issues. Hopefully our attempts will adequately answer the oft raised questions of where does our morality come from if not God, are there no alternatives to living a good life without religion, why are we here—what’s our purpose for being, what is our destiny? These are questions which until quite recently were difficult for atheists to address properly. Earlier atheistic arguments were quite often inadequate, perhaps with the exception of a few brilliant thinkers like David Hume or Thomas Paine, past atheists were less equipped to address these age old concerns because these questions seemed all but impossible to answer. However, humankind is better equipped now and has the necessary tools and skills to take to the challenge of addressing such issues. For any person of faith to automatically assume that these questions reside strictly in the arena of religious epistemology, and could not be addressed outside of the religious establishment, is by their own account showing us how narrow-minded and provincial they really are. Thus, I find that “militant atheism” is a side effect of Christianity. How so? Well, I am an outspoken, and egregiously coined, “militant atheist” precisely because Christians demand it of me. They want to know why I turned my back on what they hold to be an inviolable and sacred faith. 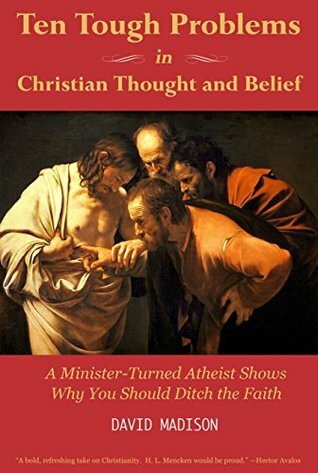 They provoke me by suggesting I have no clue as to what I’m talking about and make me that much more diligent in honing my views until they are sharper than Occam’s Razor, and only then do the most rational Christians reluctantly admit, “I guess I didn’t look at it that way before.” Even so, the majority of believers I talk to fall into a different category where faith is just a cultural convention, and they’ve never actually taken the time to think deeply about any of it, its implications, or what it all means. Like the New Testament biblical historian Bart D. Ehrman, “For me it’s just one of the mysteries of the universe: how so many people can revere the Bible and think that in it is God’s inspired revelation to his people, and yet know so little about it.” (Jesus Interrupted, p.226) If not from the Bible, where are Christians getting their “Christian” ideas? The answer is obvious, themselves. It is this latter type of Christian who, still feeling that I’ve been led astray by (insert favorite apologetic excuse here) shower me with sanctimonious pity and don’t give me the benefit of the doubt; which makes me feel little more than a worm, not human, scorned by others, and despised by the people (Psalm 22). Some Christians just can’t accept that I know what I’m talking about, and most atheists don’t know why I even bother, because to them a “Christian Atheist” is just an oddity, a freak of nature, an enigma. Christian Atheism, as I would define it, is a person who started out as a Christian, was raised in the Christian faith, and then deconverted but maintains all the cultural conventions of Christianity. They may even continue to attend church as unbelievers, not because of any theological concerns, but because their music band plays there, or all of their friends social networking happens there, or there is free daycare for their children, and so on and so forth. All I can say is, I was raised a Christian, and that part of me has never left. People find it odd when Atheist describes his or herself as a “Christian Atheist” but I should wonder, why not? As I was indoctrinated from my early childhood, I really had no choice in the matter. My mother raised my brother and I to be Christian, drug us to church on Sundays, and made sure we went to all our Bible school classes. Not until much later, in my adulthood, was I given the available facts and had time to peruse the evidence and think deeply (for myself) on such matters always hoping to attain greater insights. Certainly, like most youth, I clung to childish things. I was young and had my whole life ahead of me and the fear of death, although not really a major concern, was always nagging at me. The pastors and preachers always preached the immediacy of the Second coming of Christ, the importance of repentance, and I was to prepare myself for whenever that day would come when the Son of Man would descend upon white clouds of glory, and rule over us. Being part of Christianity was like being part of an epic story of literature. Every weekend we would convene to study these stories, and the Pastor would show us how Jesus Christ has fulfilled many of the messianic prophecies, and got us riled up about how he’d come a second time to finish the rest. What’s more, we were incorporated into the mythos of the gamut of Christian faith, and that was empowering! To be part of something bigger than oneself, and to be told that our mission was to spread the love, now that is epic. Lo and behold, I was half my life a pious Christian believer. I was baptized twice, once as an infant and again at age six. I was saved, that is, born again at fourteen when I gave myself over to Jesus Christ and accepted the gift of the Holy Spirit. I devoted most of my adolescences to sharing the “good news” with others, I worked with missionary groups out of Seattle, and all I ever talked about was the saving Grace of the Lord and Savior, Jesus Christ. How could I not have been a genuine or authentic Christian? Well, I may have to take that back, since my deconversion I have rescinded my devotional convictions. But don’t misunderstand me, I didn’t do it because I “fell out of faith” as they say. It wasn’t because I became a soulless, rebellious, God-hating, Satan worshiping, hedonistic, blaspheming, godless apostate who turned his back on everything he once was, heavens no!—such an accusation is ludicrous on the face of it. Rather, as I investigated my beliefs more fully an underlying truth began to reveal itself to me. A genuine truth not attainable by evangelical and ecclesiastic theology or epistemology, but a new point of view gained by unbiased consideration of the relevant facts, the historical evidence, the scientific evidence, the experiential evidence, the critical methods of higher criticism, and then by objective reasoning skills. All these, when applied to one’s personal beliefs, can lend to new perspectives, a new outlook if you will. Suddenly I found my beliefs where challenged, some of them turned out to be inadequate when looking at the broader picture, and so my beliefs underwent an augmentation to better fit the available facts. With each new discovery a deeper and deeper enlightenment of profound understanding took hold. After about five years of studying the literature on the subject of my Christian faith and the history of Christianity, my faith dwindled into a secular mindset. As such, I embraced Atheism with all the trimmings of a Christian. Admittedly, however, the term “Christian Atheist” is a misnomer. Although it works in the social context of multiculturalism, if we are to adhere to a set terminology Christianity is specifically the religion about Jesus Christ, and along with it comes a whole range of mystical and superstitious beliefs which by their very questionability cannot be entertained by the rational person. Atheists, on average, tend to be rationalists and naturalists, and so any paranormal or supernatural event is outside of the scope of what can be known, and so is outside the realm of what an atheist may believe. So although we might admit, that under special circumstances we might find a “Christian Atheist” or two, we would be hard pressed to ever find an Atheistic Christian, since the two definitions cancel each other out. Although New Atheists share no direct link with Christianity, they are part of the counter-culture movement designed, or intended, to combat the evils of religious belief. For this reason, New Atheists are spreading like wildfire, mostly because in the past the “old” atheists weren’t allowed the same freedom of speech or expression. The new atheists, although nearly identical to their predecessors, are now equipped with more evidence, keener knowledge, and a lot better understanding of the universe than any generation prior. New Atheists are motivated to voice their concerns, because those like Richard Dawkins, Dan Dennett, Sam Harris, and Christopher Hitchens have taken a stand to combat the mysticism which plagues the religious mind, but also bring awareness to the beauty and joys of learning. And knowledge brings enlightenment. And at every turn they are met with cries of protest, because to pull away the curtain, many feel takes the luster and sparkle out of the magic. And this is the spell New Atheists seek to break, as all those who have gotten out from under the banner of religion, have found contentment in the admission that there is more to know than we can ever possibly know. For this reason, gaining knowledge and becoming more reasonable can be a boundless heuristic adventure, continually driving humanity to better itself as we move towards new echelons of awareness! We may be little more than tiny specks in a infinitely expanding universe, but wow, what a humbling and awe inspiring thing to realize! Contrary to what religious people might think, it is not defeatist to keep inquiring into the virtually infinite expanse of knowledge. After all, asking questions is the only way to discover any real answers. It seems, though, that some Christians think that if we take the humanist approach of wrangling control of our own destinies, that we will cripple ourselves beneath the weight of our own inadequacies. They foster the preconceived bias that we are all “fallen,” i.e. 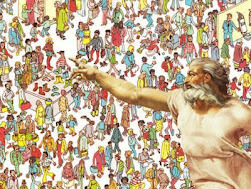 they believe we are sinful by our nature (probably because they haven’t read the Garden of Eden myth closely enough), and so to try and take it upon ourselves, whether it be the pursuit of knowledge or better morality, it would be like bearing the weight of the whole world on our shoulders as Atlas did. For many Christians, they fear themselves in this way because they are told that to trust in oneself even a little bit would be akin to folly. Even so, what this is is religious programming at work—because when examined from the outside there is no real evidence for the sort of supernatural evil they speak of, even though evil certainly exists in the world. 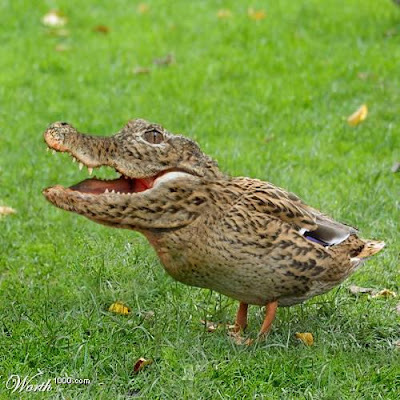 Since Christians feel that evil is related to their doctrinal beliefs, such as the literal belief in talking snakes among other hard to fathom religious tenets, people of faith are reluctant to embrace anything which empowers the self and rejects God. In their eyes God is the only source, and last hope, for lifting them out of sin. To turn away from God, in the Christian’s mind, is to perish. Yet their epistemology is restricted to their devotional beliefs, and so any true understanding of knowledge and the origins of why we are, must reside in the confines of the subjectivity of religious thought. New Atheism says that to make one’s mind a slave to such inadequate standards is a shame and that if true enlightenment is ever to be attained it must be done through objective means, not subjective. For me, as with many nonbelievers, it comes down to intellectual honesty. Not for the sake of the argument, mind you, but for my own self integrity. Christians often cringe when Atheists call them “liars for Christ,” and although it is a harsh label to be sure, it is not far from the truth. For instance, if you spread untruths as cruel as the fallacious claim that homosexuality is a sin (instead of the naturally predetermined genetic makeup of an individual’s genes) you are spreading libel and hate. If you persuade a child to make a choice, without first giving them the adequate information, based on the unfair ultimatum that if they don’t accept Jesus Christ as their personal savior then they will go to hell, you are spreading terror and fear (whether or not you feel it’s the truth). If you uphold the opinion that other beliefs or cultures are inferior, or at the least aren’t saved like you, then you are being ignorant and bigoted. If you suggest that your beliefs are more right than anyone else’s, and must be taken on a matter of faith to truly be appreciated, regardless of what the real evidence shows (or more specifically does not show), you are being arrogant and conceited. And none of these things are very good, and certainly they do not show an ounce of integrity. Like Albert Einstein, I find, “I cannot prove to you that there is no personal God, but if I were to speak of him I would be a liar.” I feel this is the only thing any honest man, who has carefully weighed the facts, can say. Although atheists may concern themselves with the topic of God, we are not talking for him as theists tend to do, nor are we claiming to know what we possibly can’t as theists tend to do, instead we’re simply pointing out that the evidence we do have does not support that claim. An example of this would be the difference of how a nonbeliever and a believer approach the concept of the big bang. Believers affirm this event lends support for the existence of God because, low and behold, their bibles tell them so: that in the beginning God said “let there be light,” and in a flash there was. This aligns with what they believe the big bang actually is, a singularity, indeed the very moment of Creation they believe God begot. But in order to be Biblically sound, this would have to mean that the big bang was a one off event, a singularity which God caused to form from nothingness, the miracle of all creation. This, however, is not what the big bang actually is, and never mind that Stephen Hawking who first suggested it was a singularity disproved his own hypothesis. Never mind, dear Christians, that no modern sustainable physics theory considers the big bang a one off event, let alone miraculous. The atheist merely points to this discrepancy and says, if it’s true (and we can eventually test the science and confirm it) then Christians are way out of line to suggest the big bang is evidence for God (how do you test a big bang? You build the LHC, or Large Hadron particle Collider at CERN). Moreover, if it happened naturally, as it would seem Quantum mechanics suggests, then it could not be proof for God—it would be the opposite. It would virtually disprove the need for any such handicrafter deity, and this would undo Christianity. But the Christian would know this if they really looked into the matter (no pun intended) and learned about the big bang instead of just circulating the propaganda of non-scientific ignorant apologists. But when corrected on their errors, many Christians ignore their mistakes, and resort to continuing to spread the falsities because it supports their claims—and this is dishonest (and in actuality it hurts more than just their claim, it makes them deceitful). So when I say I try to adhere to strict guidelines of intellectual honesty, it is in the hope that I can be more objective when it comes to discussing important issues. Atheists, then, must strive to maintain this standard of intellectual honesty. Is something is revealed to us to be untrue, and we can verify the findings, then we’d have no choice but to rethink things. Christians, it seems, are unwilling to rethink things thoroughly, so instead they resort to reformulating a failed theory by simply rewording it, i.e. Creationism becomes Intelligent Design. But such word play is only a stall, it doesn’t disprove what’s already been proved, that is to say, you can’t unlearn what you’ve learned. None-the-less, this principle of intellectual honesty is something I find most believers, whether Christians, Muslims, or Jews unwilling to follow precisely because surrendering one’s wall of dogmatic religious programming even for an instant might cause the most devout convictions to waver. Ultimately, this would breed doubt, and as a consequence threaten the establishment of orthodoxy with the threat of heterodoxy, if not the most dreaded form of dissent, unbelief itself. This is why everybody’s faith is perpetually in a status of dwindling. It is forever being threatened to be overcome and destroyed by an inkling of doubt, and for this reason, every believer has just enough faith to be an atheist. Believers, in my experience, seem to be driven by insecurity, as certainly as denial becomes their greatest ally in continuing to believe in incredible things without the necessary valid proofs or compelling evidence. How often have we heard a person of faith say, “I don’t have enough faith to be an atheist?” But, oh yes you do! You have little more than the bare minimum required to be a nonbeliever! And this insecurity is one reason believers like to boisterously proclaim their faith based convictions, as if shouting it from the mountain tops would make it any truer. Moreover, this insecurity is a large motivator in what drives uncertain believers back into the church, mosque, or synagogue week after week only to go through the motions of reaffirming their belief, until habit makes necessity of it, and their excessive compulsive desire for it to be so can be met with assurances that it is so. Such professing, as Dan Dennett has observed, is little more than the affirmation of belief in the belief in God. Even so, this whole charade of reaffirming unfounded claims and unjustified suppositions until they are mantras of devout worship makes most proclamations of faith shaky at best. Some people have said it takes as much faith to disbelieve and become atheist. Well, actually, no it doesn’t. Faith is a position of professing a belief in something (whether or not one has reliable evidence). Atheism rests upon more methodical standards, such as the scientific method, logic and reason, and strives for better objectivity. We have already seen how doctrinaire claims of knowing hinder any attempt for working toward a better objectivity, but even so, this doesn’t mean that believers and theists are without these capabilities or tools. On average, however, they steer clear of them as to not jeopardize their fragile faith. Atheism, although not a belief in itself, rests upon other proven systems of belief. 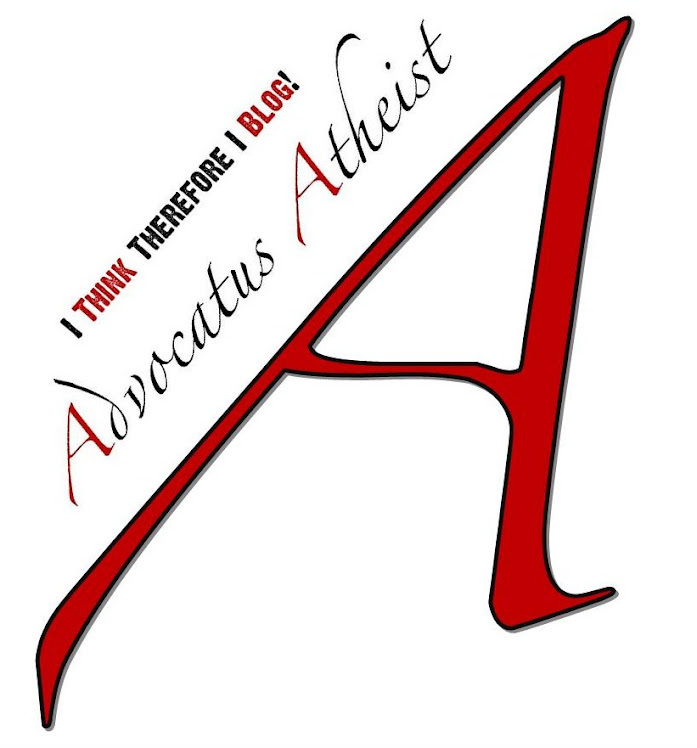 Moreover, the evidence which lends the atheist argument credibility simultaneously makes atheism efficacious, and so Atheism is not only justifiable, but is also sustainable. What we should pay attention to, though, is that unlike faith based claims, atheist’s claims are more often than not justifiable. How so, you might ask? Take for example the claim that God exists. This is the theist claim—it is a positive claim which states positively that something is so. Thus for the claim to carry and weight it must be verifiably true, which means believers must either 1) produce God, or 2) produce reliable evidence for the existence of God. Evidently, they must present a coherent case accompanied by evidence whenever they should make the bald faced assertion that God is real. Yet in the absence of God, where the absence of evidence would also mean evidence of absence, and to a greater degree nonexistence, the atheist says, okay, for the sake of the argument I’ll consider such a statement as truthful if, and only if, you offer me the convincing evidence first. As for the claim that nonbelievers must prove the non-existence of God to the believer, this is wrong. Atheists haven’t assumed anything which might be considered extraordinary, they have merely taken the naturalistic position that everything we can detect is ultimately all there is, and so far, everything we know can be explained by natural means, yes, even the human consciousness. To think of it another way, for me to claim I have a baseball and for you to find out whether or not what I say is true (if I actually have a baseball), ultimately I must present you with a baseball. Now suppose I tell you I have a baseball autographed by the late great Henry Louis “Hank” Aaron! Now that would be an amazing claim! In fact, I’ve upped the ante, it’s not just any old regular baseball (anyone might have one of those), but it’s a special, personal baseball, and also it grants your every wish. Since I made the positive claim that, yes, in this world baseballs exist and I have one which is more special than all the rest, if I fail to produce the said baseball, or fail to provide any convincing evidence for it, then this would cast doubt on my claim. Or if I had some small fraction of evidence, such as a photograph (which would be less reliable than the actual baseball since I could have fabricated the picture or signed the ball myself), you have no real way of knowing for sure if I haven’t doctored it, then this might be convincing to the uncritical person. But the skeptic says one piece of evidence is not enough to validate the claim that Hank Aaron signed it or that it was a magic baseball, so more clues must be gathered so the pieces of clues can be assembled properly. So how could we know for sure? Well, we would have to know the source of the autographed baseball and what Hank Aaron’s original signature looked like to be sure—so we’d at least need this evidence before we could authenticate one of my claims about the baseball. So although a picture is good evidence, it’s only partially reliable, and you would need to seek corroboration from other third party sources to determine if what I had presented was in fact a Hank Aaron signed baseball, and not say a softball or a tennis ball, a forgery, or some other bad imitation. Admittedly, however, proving it to be a magic wish fulfilling baseball would be a bit trickier. With no real testing of it, we just couldn’t know for sure. But let’s say I whipped out a baseball similar to the one I described from my pocket, handed it to you, and allowed you to examine and test it all you want. Upon finding out that the writing on the ball was questionable, looking quite like something I would write, and it didn’t grant any of your wishes—not a single one—then you have verifiably disproved my claims. This doesn’t mean I didn’t genuinely have faith in my baseball or believe the claims I was making, maybe I just didn’t know, maybe it wasn’t what I thought it was, maybe I was gullible for having bought it from a huckster, who sold me a forgery, who I believed when he said me it was a magic baseball, and then showed to you only to find it didn’t satisfy your demands for proof. At this time we could conclude that it wasn’t a magic baseball nor was it a real autograph, that it was all a misunderstanding and a hoax. However, after the evidence failed to support my claims, thereupon my failure to produce the greatest baseball in all the world for your consideration, my getting agitated and pushing the burden of proof onto you stating that you cannot prove that I don’t have a baseball does not solve the problem of whether or not the baseball which I speak of (and which has yet to reveal itself) exists to begin with. But knowing that it was a fake, and that the concept itself uncannily resembles the fictitious genie in Aladdin’s lamp fable, you would be right in doubting that any such baseball exists or has ever existed at all. It stems to reason that the attempt to prove that there is not any such baseball which I don’t currently have and can’t produce for you would just be a redundancy and a huge waste of time. Thus, atheists need not disprove God, because it too is a redundancy and a waste of time. Besides, how can an atheist disprove what they don’t believe in? And if the Theist claim is true, then it would be futile to argue a moot point and there wouldn’t be atheists, skeptics, or nonbelievers. Since this is not the case, and there is no surplus of evidence, and God’s existence cannot be confirmed or specified, it is illogical to believe whole heartedly in that which is unsupported, untested, and unverified and seems by our current estimation—to be entirely improbable—just like my special Hank Aaron signed magic baseball. Convincing evidence is not personal experience, mind you, but something more reliable than untrustworthy testimony from unfounded sources. Reliable means testable, repeatable, dependable, universal, and only after such has been verified by a third party can it be akin to the truth. So how does something gain the status of being true? It must be internally coherent, consistent and fit with the bulwark of human knowledge. In fact, it must be so convincing that anything else, including its non-existence, would be less probable, i.e. after looking at the facts it would seem that much more preposterous if it didn’t exist! Also, convincing proof must survive scrutiny and stand up to critical analysis, such as the methods of Higher Criticism. It must be accompanied by empirical evidence so vast and multiply that the odds are overwhelmingly in its favor of being an actuality. Yet this is exactly what every theist lacks when they assert God exists. Beyond this lack of support, Christian concepts of God tend to be nebulous at best. Much of Christianity after the Protestant Reformation, after the shackles of the Roman regime had been severed from the religious schema; it has largely been left up to the individual to decide the parameters of their faith. The individual can now decide for his/herself what it all means, and they can interpret their religious precepts anyway they see fit. Thus Christianity has drastically transformed in both form and function over the years, and today’s variety is nothing like that of yesteryears. Christians today think differently, they are quite unlike the minds of the earliest Christians. They have Christmas trees for God’s sake! (The Bible expressly forbids the decorating and putting up of Christmas trees because such festivities marked the winter solstice celebration Brumalia, a pagan holiday, equated with the worship of the ancient god Mithras, whose birthday celebration falls on December 25th. The early Christian Church, not knowing Jesus’ legitimate birthday, superimposed his Nativity story onto this day in the hopes of usurping the holiday perchance to gain worshipers bringing them into the fold of Christendom, but don’t take my word for it, see biblical historian Robert M. Price’s informative book The Incredible Shrinking Son of Man, p.44). The changes that have been established in Christian thought and practice, to be sure, are far from random. Observably, they have followed the restless curiosity and changing needs of our encultured species, to phrase it like Dan Dennett has. This explains why so many sects and denominations appear—and why religion seems to be growing even when it is simply fracturing into smaller fragmentary dimensions—every Christian is chiseling away as what works for them from what doesn’t, sculpting their faith into the faith that best suits their transitory desires and their contemporary needs. This makes it increasingly difficult to come to an agreement on what anyone particular Christian believes at any give period, since over the course of history almost every variety of Christianity has held different views—all the way back to Jesus’ own day in which James the Just and Paul of Tarsus bickered about which direction to take the fledgling “Christian” faith. Even so, sometimes curiosity gets the better of us, and as Dennett expounds, “The designs and techniques of religion can also be studied with the same detached curiosity, with valuable results.” In this process of peeling back the layers of religion to see what’s inside, countless biblical scholars and historians have come to realize that when properly examined religion reveals all the design features of a purely human invention, and this conclusion explains away all the other discrepancies which accompany religious belief and archaic holy books, which conveniently strengthens the atheist’s hypothesis that there is no God. Atheists simply choose to listen to reason, and reason dictates that none of the evidence or tools at our disposal supports the religious claim enough, and so it cannot automatically be presumed that God exists, it must be proved and confirmed first. This is what it means to be atheist: to reject the belief in God or gods on the basis of insufficient support for believing in said entities. Anything else an atheist is, it is because they assimilate wisdom and knowledge where they find it, reconciling what can be known with what can merely be assumed, and how it relates to their non-theist position. A “militant atheist” is simply an outspoken atheist who voices there various beliefs, citing their sources when needed, in support of their nonbelief. Truthfully, this is no different than how most Muslims, Christians, and Jews profess a belief in support of their convictions. However, the main difference is that atheists are frequently supplying valid proof for their attestation whereas the majority of theists are not supplying anything which would resemble genuine or reliable proof by scientific or even scholarly standards, and moreover, simply don’t pass muster. The Age of Reason: Discussion, Debate, Diplomacy! As long as both parties are being reasonable, there is a hope that two rational people can come to an agreement—even if the agreement is simply to agree to disagree. And that, my friends, is what it means to be a “militant” and “new atheist.” It is to be an advocate, an activist, and a champion for atheistic appreciations while being passionate about warning others of what we feel are real religious dangers which should not go on being ignored, and why embracing secularization may be our best hope for a better future. 1) Aren't there any worthy alternatives to living a good life without God? If not, how do you propose to test such a radical hypothesis? 2) How do you account for the incontrovertible discrepancies, historical inaccuracies, Biblical contradictions, as well as the redaction, typology, and the midrash so blatantly prevalent in the New Testament and yet continue to consider it an indispensable source for sustaining your faith? 3) Likewise, how can you discern anything about the nature of Jesus Christ when there is not a single viable strand of genuine extrabiblical evidence to tie him to the fabric of authentic history? 4) Unilaterally, you have suggested that “faith” in the existence of God is more than just a matter of “blind faith,” e.g. that it also rests upon genuine evidence, such as experiential knowledge, yet I have not seen you offer any examples which cannot be explained away by naturalistic means. So what firm evidence do you propose educated nonbelievers consider exactly? 5) What is your evidence that the uncongenial nature of the universe is something other than chaotic, complete randomness, arbitrary happenstance, and a myriad of unpremeditated incidents occurring haphazardly? Concisely, how is it that this seemingly undersigned variance is for our benefit according to your faith? If you reject the idea that the universe is entirely random, then what is your criterion for supposing a deterministic or pre-deterministic cosmic landscape?